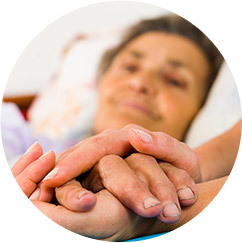 Caring for a loved one is honorable and selfless, but FirstLight Home Care understands that’s not why you do it. Your dedication to your aging parent, chronically ill spouse, or sibling with a disability is your outward expression of your love for them. That you’d move heaven and earth to ensure a loved one’s needs are met and a meaningful life is lived shows what kind of person you are, that you are giving, kind, empathetic, and enduring. But caregiving is very exhausting. It’s easy to slip into the habit of always putting another’s needs before your own, often to your own detriment. FirstLight Home Care understands the importance of making time for your own pleasure and accomplishments, and so we ask, what about you? Are you taking care of yourself? If you ignore yourself, constantly caring for another at the expense of your own fulfillment can lead to anger and bitterness gnawing away at your relationship until it feels like a liability instead of an act of love. Your loved one doesn’t want to be the reason you suffer, so that’s why FirstLight of Pearland offers respite care and in home care services, to help you regain your balance. 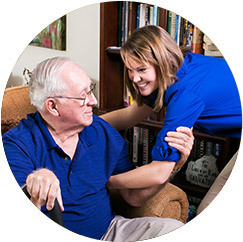 FirstLight of Pearland’s respite care and in home care program enables primary caregivers to take some time for themselves with the confidence that their loved one is well cared for in their absence. 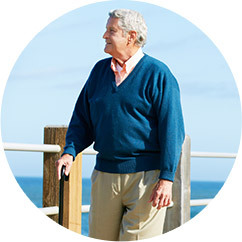 We offer complete respite care services for adults of all ages managed by our expert and kind caregivers for any situation, as often as needed. Whether we’re needed in the home or elsewhere, our caregivers are available for as little as an hour or as much as an extended multiple-night stay. You are more than a caregiver, you are a spouse, a parent, a child, a treasured friend. You have your own career, interests, and goals. The stress of managing all of these things while also caregiving can lead to emotional and physical fatigue and even endanger your health. Neglecting to allow yourself enough time to nurture each area of your life may cause more stress and damage valued relationships. FirstLight recognizes how difficult it can be to carve out time for yourself and how hard it can be to leave the guilt for wanting it behind. You deserve time to recharge and stepping away allows you to center yourself, unwind and come back rejuvenated. Not only does this serve you, but the time away from each other allows the person you care for to recharge as well and can strengthen your relationship. Our respite care and in home care services in Pearland, Friendswood, Webster, and Clear Lake will allow you to step away for a much needed break without jeopardizing the excellent care you provide.